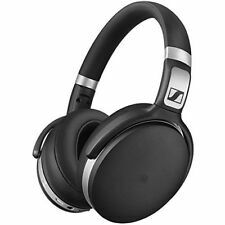 Sennheiser RS 120 Headband Wireless Headphones - Black. As you rotate the tuning dial you will hear the static sound change. You'll only need to do this once to set things up. For sale is a set of refurbished Sennheiser Urbanite XL headphones. Perfect working condition with NEW ear pads - no cable. Its easy to set them up too! Just plug the transmitter in, and connect the audio cable to an analog output (RCA or headphone plug), its that simple. 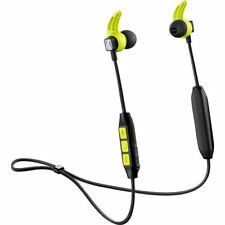 Supports the use of multiple headphones receiving the RF signal from one transmitter (use HDR 120). Sennheiser HD6XX Massdrop Headphones. Condition is Used. Shipped with USPS Priority Mail. 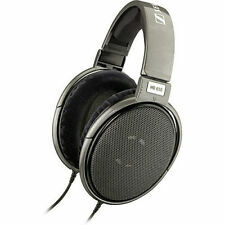 Sennheiser HD 202 II Professional Stereo DJ Headphones. · Very clean, deep bass response,Jack plug 3.5 / 6.3 mm stereo. · Ideal for DJ's and audio pros,Total harmonic distortion. · 10 foot Y style cable. Sennheiser RS120 On-Ear Wireless RF Headphones System with Charging Dock, NOB. Shipped with USPS Priority Mail. Sennheiser IE 800 Audiophile In Ear Headphones new. Manufactured with high-quality materials, such as scratch-resistant ceramic for the housing to ensure longevity, the IE 800 ear-canal phones made enjoying audiophile music on-the-go, a reality. 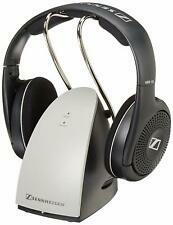 Sennheiser RS 120 Headband Wireless Headphones. Condition is Seller refurbished. The new HD 660 S lets you enjoy sophisticated audiophile sound in even more listening situations. The successor of the legendary HD 650 excels with the improved performance of its new transducer design. SENNHEISER HD660S HD 660 S HEADPHONES MINT CONDITION! Condition is Used. I bought these because I thought I wanted to get back into desktop audio but they ended up just sitting on the headphone rack in my office for 4 months. Sennheiser TR120 on-ear wireless headphones with charging cradle. Condition is Used. Slight wear on overhead padding. Overall good condition. Shipped with USPS Priority Mail. You're looking at a pair of Sennheiser HD280PRO headphones in color black. They are used as you can see from the wear on the pad that sits on top of your head.They are very good quality headphones, but I have to let them go as I don't need 2 pairs of headband headphones. The ear pads are wrinkled but in good condition. The item you see in pictures is the item you will receive. Local pickup. There’s the stunning Sennheiser sound and the latest wireless technology, all crafted in an elegantly minimal yet robust design, made from the highest-quality materials. But most of all, Sennheiser’s NoiseGard™ active noise cancellation lets you enjoy your music in peace – everywhere. 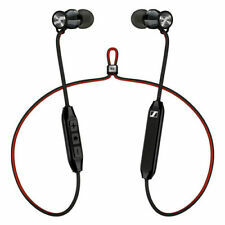 The sound quality on these Sennheiser headphones is superb and its features are quite appealing. These are a great pair of headphones. 1 x 3.5 mm stereo, 1 x optical digital. Digital input: > 90 dBA. Sennheiser's new HD 660 S is an open-back, dynamic headphone designed for the passionate audiophile. Make: Sennheiser. Model: HD 660 S. Para-aramid reinforced, detachable cables employ high conductivity OFC copper to insure signal integrity with very low handling noise. Sennheiser RS120 On-Ear Wireless RF Headphones with Charging Cradle USED ONCE!!! Up for your consideration is a pair of Sennheiser RS120 On-Ear Wireless RF Headphones with Charging Cradle. These were only used once, so they're in perfect condition! This system features a lightweight on-ear headphone that receives sound from a transmitter base when connected to an analog output of any audio source (like a TV, sound system or computer). Used. Working great with no problem. Cosmetic condition is as pictured Sennheiser HD 202 Headphones - Black. Condition is Used. Shipped with USPS Priority Mail. 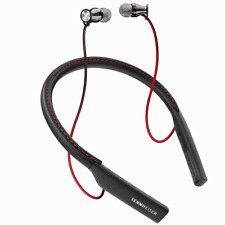 Sennheiser IE4 Earphones. Earphones for wireless monitor applications with outstanding sound quality. 1 earphones IE 4. Rugged cable. What's in the box?. Outstanding bass response.